Every once in a while we review/recommend a product. Typically it's because we find value in that product. 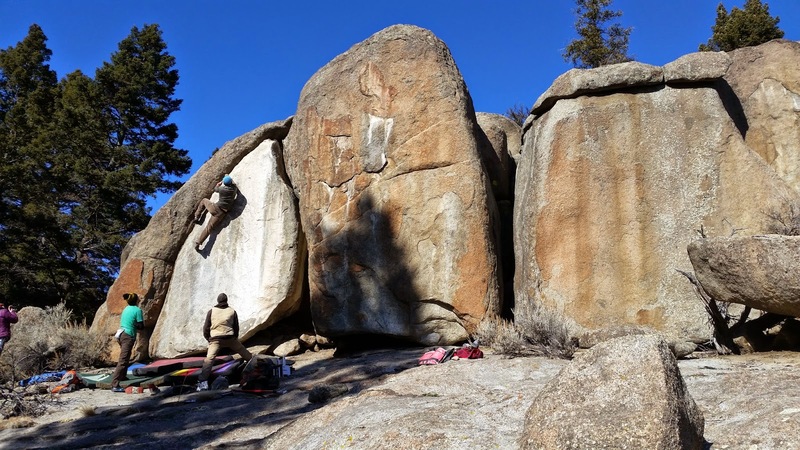 This review is no different...if you haven't heard about Friction Labs and their specially formulated chalk, now is the time. If you think all chalk is essentially the same you're in for a surprise. Depending on the ratio, what is actually in the chalk can widely vary. 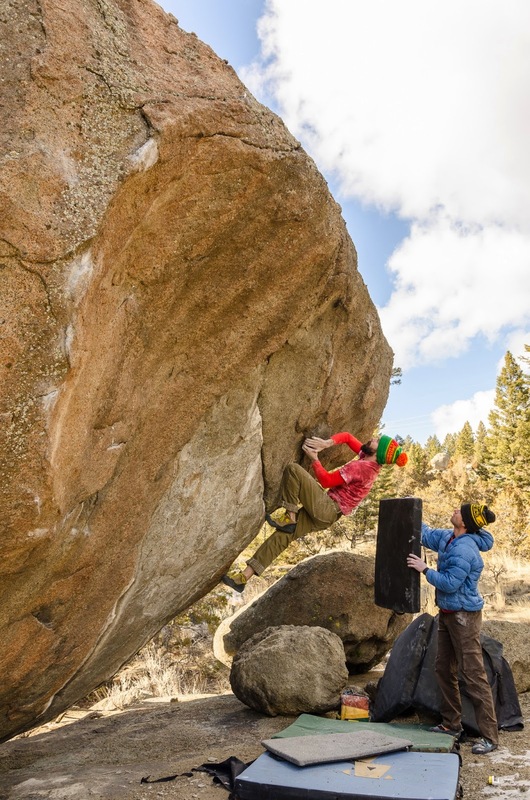 The science behind it: Friction Labs' chalk uses a higher ratio of Magnesium Carbonate than any other company. Lesser brands cut their chalk with more Calcium Carbonate, making for a slipperier product when moisture becomes present. Have you ever chalked up but instead of it drying your hands, they feel slimy? That's the Calcium Carbonate working against you. 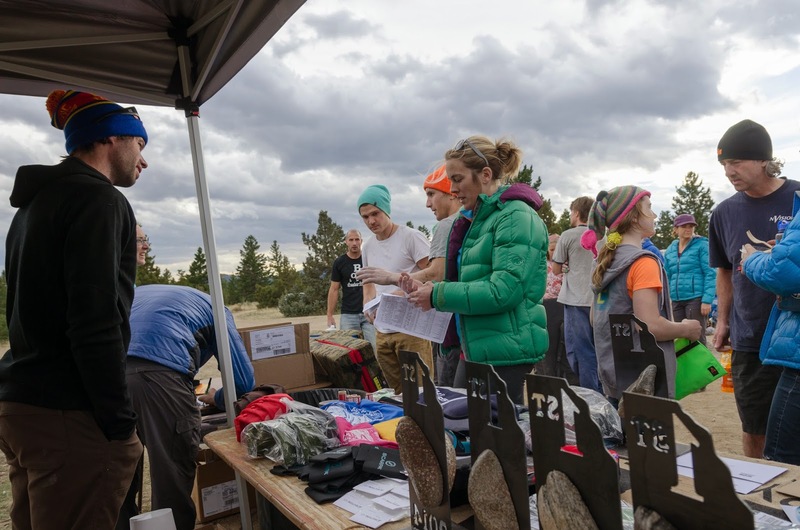 I first experienced the Friction Labs chalk at this year's Butte Bouldering Bash; at which they graciously supplied all the competitors with samples of their chalk. Folks were psyched, and I noticed that people were coming back around to see if they could get a second sample...we put some extras out during the raffle and unsurprisingly they went pretty quick. After the Bash, we felt a critical look at the chalk would be ideal. With the winter months approaching we thought that testing may have to be limited to a science fair-esque approach, and experiences in the gym. The winter proved to be much less threatening than imagined, and I found myself testing the chalk where it really matters to me. Outside - exploring new stone. 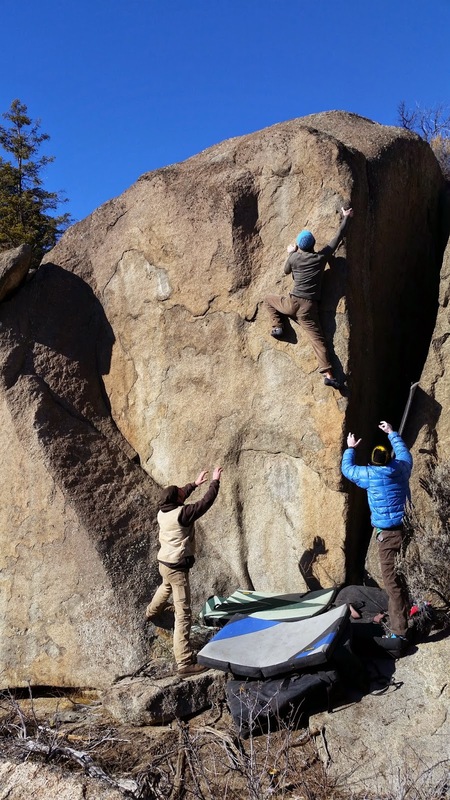 My main type of climbing is bouldering, and more specifically, developing new problems and areas. 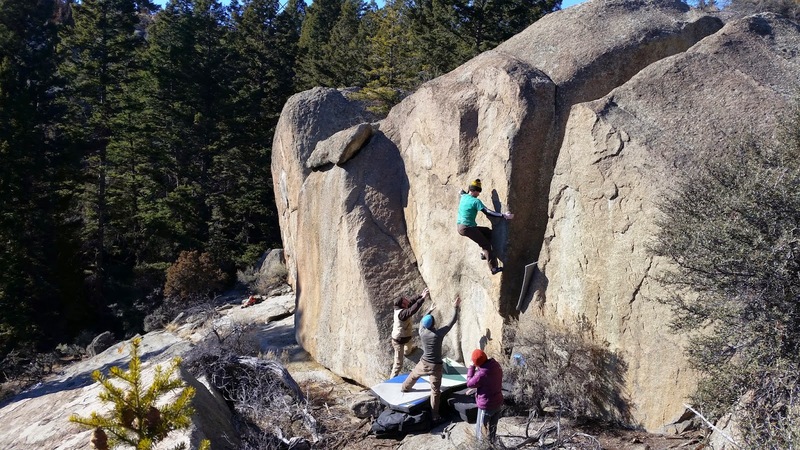 Over the past 10 years while wandering the Boulder Batholith, my responsibilities have grown and my life changed and evolved. The time I can allot myself these days seems to be more and more limited, making each trip into the woods a time to strive to perform my very best. When you only have a couple days you can get out a month, and limited tries on your project; you take every step possible to make those attempts count. 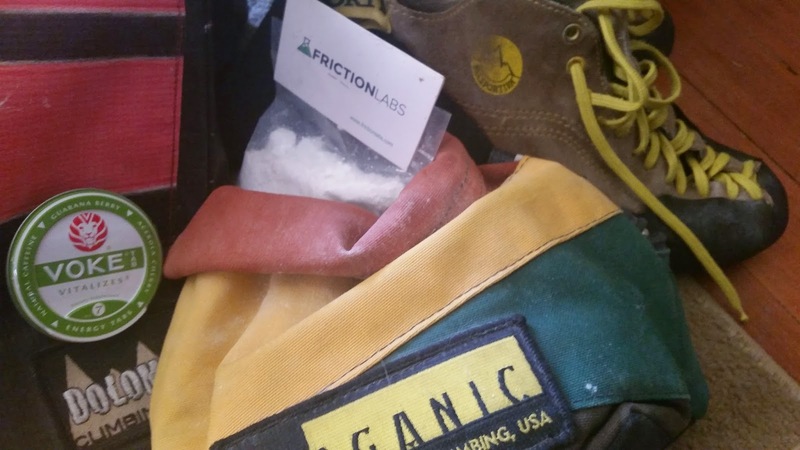 Friction Labs is the chalk I'm reaching for - I can tell it works better…you wouldn't try your project in approach shoes, so why would you use a lesser chalk? There are 3 blends available, Bam Bam(super chunky), Gorilla Grip (chunky) & Unicorn Dust (fine). While preferences seemed to vary among our testers, I personally found the Bam Bam to be the blend I liked the most - mainly because I preferred block chalk prior to these tests. 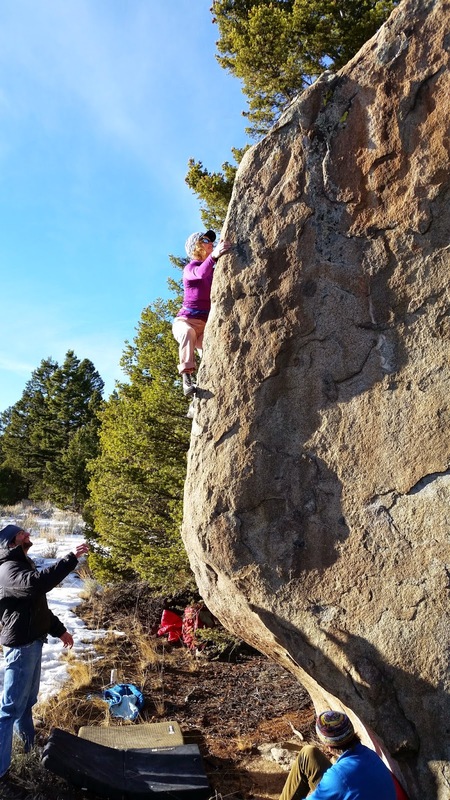 Usually it was the Metolius block chalk...but you can literally feel the difference...and I'm not going back. I secretly switched Odenbeck's chalk out with another brand to see if he'd notice - one dip into my bag and he could tell something wasn't right...he gave me a look and went to find the Friction Labs chalk. And while there is some fancy science stuff involved, what it translates to is that this chalk seems to cover my mitts better, and keeps them drier for longer. Could this be the Boreal Firé of the chalk world? The new innovation that makes other chalk companies step back and reassess thier own product? Also, let’s consider that for a moment…what other chalk companies? This product is what Friction Labs does, it’s not just an accessory or an afterthought of a larger brand, it’s the lifeblood of their company. I can feel the difference; and after a few months of testing I’m convinced it’s not a placebo...my hands stay drier and that’s that. Friction Labs is for me. Stay tuned for part 2 where we harness our 4th grade science fair skills and bring you some additional testing and thoughts.